So you're out on the family sailboat, and—darn it—you're boarded by Somali pirates again... ruining your whole weekend. 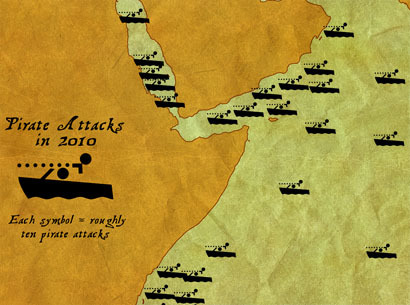 You want to avoid this scenario, and we can help—with our nifty 2010 pirate attack map. 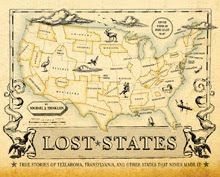 The map (above) shows the pirating hotspots you should avoid. Each symbol represents about 10 actual pirate attacks in 2010. If you want more detail, you can always consult the official map from the International Commercial Crime Services organization. Happy Boating!